Regardless of whether you are interested in moving to another beachside community or you’d prefer to move closer to the ocean, working with experienced, professional Oceanside movers can make all the difference in creating a successful move. As professional moving and storage company serving Oceanside for over 40 years, Coast Valley Moving & Storage seeks to simplify and customize each move so that you can be less stressed throughout the entire process. Our dedication to personalizing and customizing each move starts from the beginning, and continues throughout moving process, setting us apart as the most personalized of all Oceanside moving companies. Planning seamless and efficient moves is our specialty. By pairing you with a dedicated Move Coordinator that will help plan and facilitate each part of the transition, you can select the right services for your needs. In addition to a vast array of moving services and a highly dedicated moving crew, our full-service residential movers also provide both short- and long-term storage options, making it easier to pair your needs with the best moving and storage company in Oceanside. When your move gets complicated, you can benefit from well-coordinated moving and storage solutions, planned and executed by one team of experienced professionals. Offering local, long distance, and international moving options, our experienced residential moving company provides complete peace of mind throughout the moving process and assistance every step of the way. With streamlined moving services, you can plan your moving day weeks in advance, allowing you more time to focus on other areas. 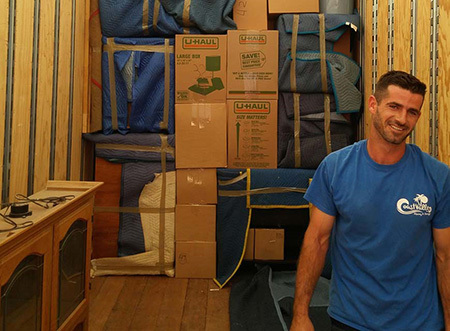 Coast Valley Moving & Storage can assist with each and every move plus your residential storage needs. Contact us today by submitting a free online quote or giving us a quick call to learn more about our complete Oceanside moving services.